Once more that magical day, called the Trade Deadline, with its whirlwind of speculations and prognostications, is gradually receding to its normal aftermath—the transaction doldrums. As Bob McCowan comments in his book, “100 Greatest Hockey Arguments”, “It has become one of the three biggest days on the hockey calendar”. But he further suggests that “it is mostly meaningless”. For a week or so following, routine analyzing of the rather ordinary deals, which have become the bottom line status of the moves actually made, is the status quo. In reality, how much can actually be made of Korbinian Holzer and Eric Brewer switching colours? Or, are the standings likely to the affected by Michael Sgarbossa (Michael who?) being assigned to Colorado in exchange for Mat Clark? Do we hear a resounding “ho hum” filtering through? A quick glance backwards over the past 10 years reveals the vanity in seeking to find more than a handful of “name brand” pucksters which have been involved in trade deadline day bartering . Martin St. Louis and Roberto Luongo come to mind from last March. But only Jaromir Jagr and Sergei Federov may rightfully be placed on the top shelf kind of transaction during that decade. Ron Francis and Brian Leetch changed uniforms, but only as “rental players”. While the first mention of this terminology appeared in newspapers back in 1972, it was almost a decade later before it gained prominence. It was the mid 90’s before it seemed to morph into what one shinny scribe describes as a “circus”. To be sure, with teams struggling to improve themselves in the drive for the post season, interest does accelerate concerning who and how this advancement will be achieved. But the endless hashing and rehashing of the possibilities and the probabilities over the course of a month leading up to that date does get to be a little much. Most memorable deals have not taken place on March 2, or February 10, or whenever the cutoff date for transactions has been allowed. Most hockeyists are single-minded about which maneuvers constituted “blockbusters” moves. October 6, 1930: “King” Clancy was claimed by Toronto Maple Leafs in exchange for $35,000. cash (no mean sum in those days), Eric Pettinger, and Art Smith. This swap includes at least three of the above categories. But the value of this little Irish leprechaun to the Blue and White has to rank as the premier one. His enthusiasm alone put new fire in a club that finished second last in its division the previous spring. Within one full season with this diminutive firebrand as the catalyst, the Stanley Cup came to the Queen City sextet for the first time in a decade, and the initial occasion while they carried the new emblem and moniker. October 3, 1934: Howie Morenz, along with Lorne Chabot and Marty Burke are shipped off to Chicago, while Leo Goldsworthy, Lionel Conacher, and Roger Jenkins move to Montreal with the Canadiens. Needless to say, the “Stratford Steak” was the focal point in this deal. He was the elite of the elite skaters in his day. Recovering from a bad ankle sprain and a broken thumb, which had slowed him sufficiently to prompt the unthinkable—Howie Morenz booed in the Forum—he began to think about retirement. New owners didn’t give him the chance. All the promises about “never being sold or traded” were forgotten, and he was shifted to new environs. November 2, 1947: Expert hockey men opined that this 5 for 2 (actually 5 for 1) move must be “considered the gaudiest transaction in NHL history!” On that date the wily Toronto Leaf manager, Connie Smythe, sent a full forward line (Gus Bodnar, Gaye Stewart, and Bud Poile), and the defense pair of Bob Goldham and Ernie Dickens, to the Blackhawks for Max Bentley and throw-in rookie forward, Cy Thomas. Without a doubt all four of the above elements entered into this picture, prompting old time journalist Charlie Querrie to tag it “the greatest exchange that ever occurred in hockey circles”. But as far as Smythe was concerned the seemingly lop-side switch gleaned him the key to future Stanley Cup hopes—namely the reigning scoring champion, the “Dipsy-Doodle-from-Delisle”, Max Bentley. His supposition proved to be true, and the Buds won the World Championship the next two years running. Twenty years later, on May 15, 1967, the Boston Bruins acquired Phil Esposito, Ken Hodge Sr., and Fred Stanfield from Chicago for Pit Martin, Gilles Marotte, and Jack Norris. This has normally been listed with the “top NHL worst barters of all time”. Martin was the only one of the transplanted Beantowners who amounted to anything long term. But history records the glaring value of Esposito, who, in Chicago seemed to be tentative and immature, but who in the Black and Gold developed into the ultimate centre player. Four years in a row he won the points parade; eight times was either a first or second All Star pick. Hodge also earned All Star honours, and Stanfield was a solid winger for years. It is almost unnecessary to include number five in this list. We speak, of course, of “THE trade”. On August 9, 1988 the Edmonton Oilers gave up their star centre, Wayne Gretzky to the Los Angeles Kings. The other skaters involved represent only incidental bodies in comparison: Mike Krushelnyski and Marty McSorley tripped off to warmer climes, and Jimmy Carson, Martin Gelinas, three first-round draft picks, plus $15 million landed in Northern Alberta. **The exchange which saw “Butch” Goring move to Long Island, with Billy Harris and Dave Lewis heading to the Hollywood Hills, on March 10, 1980 could readily have been included among the elite swaps listed above. Had “The Top10” been the theme, it would indeed have made that indelible imprint. Without a doubt, the disheveled-looking Goring was a key element (some say the catalyst) in the Islanders copping the first of their four Stanley Cup Championships. His being awarded the Conn Smythe Trophy the following post-season only affirms that conviction. This was a BIG proceeding. But there have been several others—often little known, or generally overlooked—which fall into the same category. The following included at least one element suggested by the “big trade” criteria. **During the 1935-36 campaign Toronto’s Conn Smythe saw the need to find a goalie to replace the aging George Hainsworth. He travelled to Windsor the watch the IHL Bulldogs netminder Earl Robertson in action. But that night they were pitted against the Detroit Olympics from just across the river, and “Turk” Broda was guarding the cage for the Motor City sextet. He had come to the 1934 Red Wing’s training camp as a green-as-grass, naïve kid, and was taken on as Detroit’s practice backstop. But in the annual series between the NHL club and the IHL Olympics, the latter won three out of three matches, with the “Turkey” as the key element in those victories. Those talents were evident in the contest Smythe was watching, and instead of making a play for Robertson he snagged Broda for $8000 cash. The rolly polly Brandon native became what many have concluded to be the best clutch performer between the pipes in the league’s history. **Admittedly, it is strictly because of the predominance of one personality that this trade is mentioned in this vein at all. But on January 25, 1940, the great Eddie Shore was shuffled off to the New York Americans in exchange for journeyman winger Eddie Wiseman. Essentially little came of the deal. Shore, whom the Bruins swore would never be sold or traded, had purchased the AHL Springfield Indians, and wished to focus on both sextets. Art Ross objected and the boom was lowered. But the “Edmonton Express” played but 10 games for the Star Spangled outfit, and Wiseman barely got included in the league stats that season. **But as surely as “Turk” Broda’s prowess effected the future of the Toronto Six, obtaining the rights to “Teeder”Kennedy by shipping Frank Eddols to the Habs, also had a perpetual bearing on the Maple Leaf fortunes beginning in 1943-44. The gritty centre had been invited to the Canadien’s training camp when he was just 16. They offered him a spot on their Junior squad, plus accommodation and schooling. 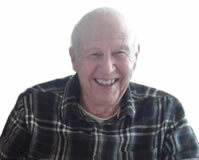 But he was soon homesick, packed his bags, and returned home to Port Colborne, Ontario. Nels Stewart persuaded him to join the local Senior team, and recommended him to the Leafs. Because his hero was Charlie Conacher, it took little persuading to get him to sign on the dotted line. For 13 years he was the heart and soul of the Blue and White, and, to some, the best Maple Leaf ever! **While this may begin to sound like the “Toronto Maple Leaf Story” (suggesting this writer is biased in their favour), most lists of significant player transitions cannot fail to include “Red” Kelly’s rescue from limbo on February 10, 1960—with Marc Reaume being send to Detroit as compensation. As a result of Jack Adams mistreatment of the talented redhead during an injury, the conflict resulted in Kelly being offered to the Rangers. He “retired” rather than accept the assignment. Thanks to fellow Irishman, “King” Clancy, the aforementioned deal was struck to bring him to Toronto. Although one of the premier blueliners in the NHL at the time, “Punch” Imlach converted him to a centre, where he inspired the Leafs to four Stanley Cup wins. **In a rather complicated maze of moves Guy Lafleur was snatched up in the 1971 amateur draft and became a dominant force with the Bleu, Blanc et Rouge for more than a dozen years. The scrupulous Canadien’s GM, Sam Pollock, pulled off one of the slickest sleight of hand’s trick in the game’s history, by persuading the Seal’s Charlie Finley to accept immediate help, by trading his 1971 draft pick and Francois Lacombe for the Hab’s 1970 first round pick, plus veteran Ernie Hicke. However, late in 1971 it looked like the Kings, not California, might finish last. Pollock offered to “help” them by trading Ralph Backstrom to L.A. The result was that he was the catalyst to keep them away from the cellar, and the Seals kept their place—guaranteeing Montreal the first overall pick. **Sheer numbers were front and centre in two rather daring swaps in the 1950’s. On June 3, 1955 an exchange involving nine players, saw Terry Sawchuk as the prize plumb picked by the Bruins. On June 23, 1957, Glenn Hall (who had replaced Sawchuk) went to Chicago along with Ted Lindsay, with the Red Wings getting four average skaters in return. **But probably the least publicized move, which took seven years to be translated from a mere shinny footnote to a headline, focuses on the studious Ken Dryden. On June 6, 1964, Boston traded his rights and Alex Campbell to Montreal for Guy Allen and Paul Reid. It seems superfluous the reiterate his miraculous, Conn-Smythe-winning performance in the 1971 post season—or his five Vezina Trophies and equal number of first All Star team selections. The initial transaction itself was a ho hum scenario—but the ultimate result turned it into a true blockbuster. The old adage has it: “beauty is in the eyes of the beholder”. 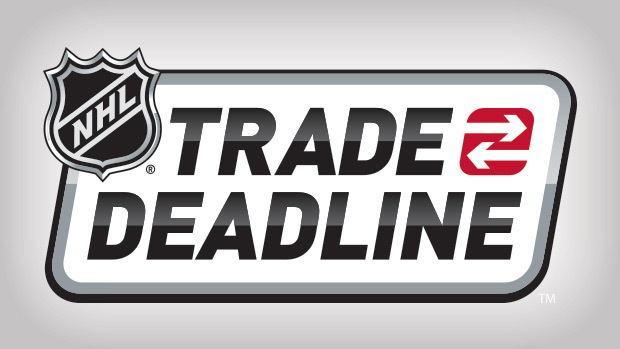 Reviewing some of the hype surrounding the annual NHL Trade Deadline suggests that this must also be true of the activities which are either purposed, deposed, or composed that weekend year after year.